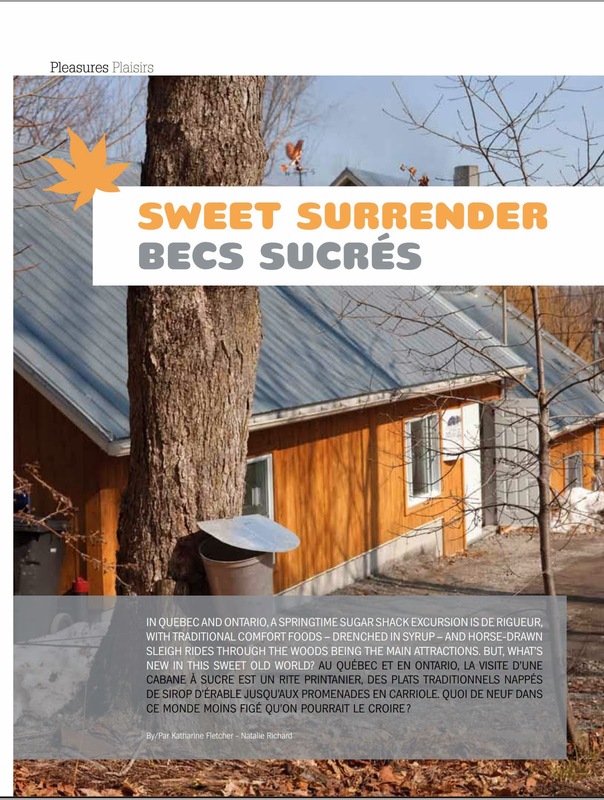 In Quebec and Ontario, a springtime sugar shack excursion is de rigueur, with traditional comfort foods — drenched in syrup — and horse-drawn sleigh rides through the woods being the main attractions. But, what’s new in this sweet old world? 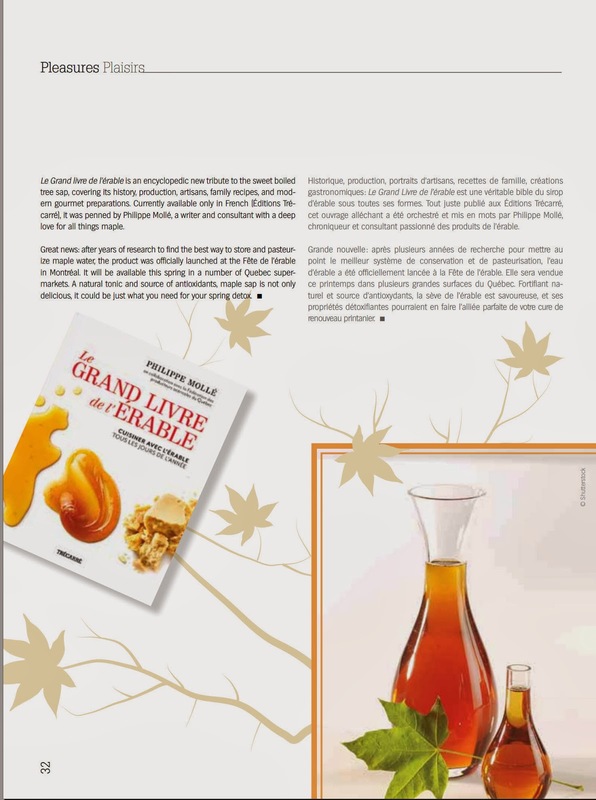 Quebec alone produces more than 75% of the world’s maple syrup. 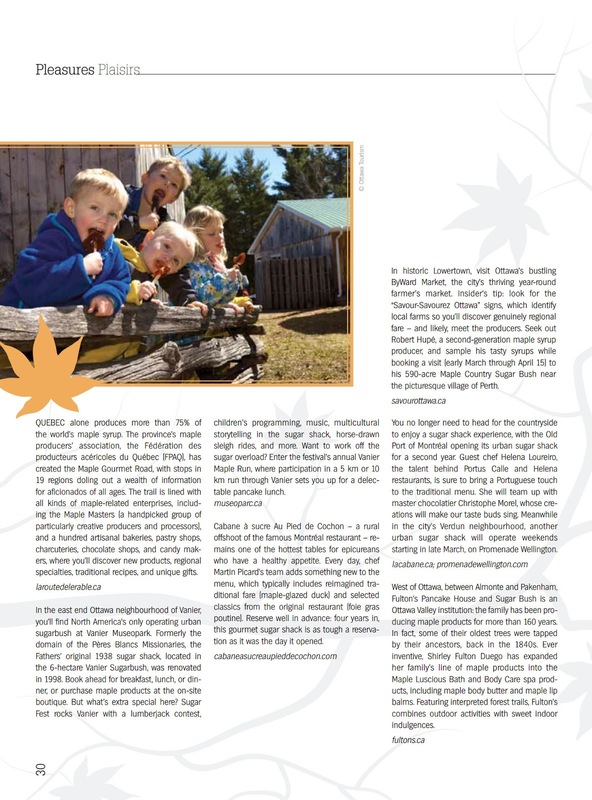 The province’s maple producers’ association, the Fédération des producteurs acéricoles du Québec (FPAQ), has created the Maple Gourmet Road, with stops in 19 regions doling out a wealth of information for aficionados of all ages. The trail is lined with all kinds of maple-related enterprises, including the Maple Masters (a handpicked group of particularly creative producers and processors), and a hundred artisanal bakeries, pastry shops, charcuteries, chocolate shops, and candy makers, where you’ll discover new products, regional specialties, traditional recipes, and unique gifts. Published VIA Destinations, March-April 2013.